Selecting a quality subcompact car that lives up to your lofty expectations can seem stressful at first glance, but this changes once you get to know more about the 2018 Rio from KIA. While the KIA Rio has notably been one of the smaller vehicles on the road in recent years, the automaker has made some impressive changes to the 2018 model year. Notably, the four-door sedan version of the 2018 KIA Rio now has a larger hood with longer overhangs in the front. You may also notice that C-pillar is in a more upright position. If you prefer the hatchback design, you will notice that it is slightly shorter in height than last year’s model, but it is wider and longer. These exterior dimension changes are combined with subtle style changes, such as in the grille and hood design, to improve exterior aesthetics. In addition to these important exterior updates that consequently add more interior space for drivers and passengers to enjoy, there are some trim level changes for 2018. The SX trim from 2017 is no longer option. The current trim level options from lowest to highest are the LX, S and EX. Multiple exterior color choices are available for the 2018 model year. Changes to the 2018 Rio from KIA continue under the hood. This year’s model has an updated suspension system that improves your ride regardless of the weather and road conditions. In addition, the gas-powered 1.6-liter, four-cylinder engine has been improved over the 2017 model year’s engine. The six-speed auto transmission is standard for all trim levels, and it combines with the powertrain to give you an updated driving experience. Disc brakes and a semi-independent torsion beam also add to the wonderful driving experience. At the base level, the car is outfitted with satellite radio, a five-inch infotainment screen, auxiliary ports, USB ports, a 12-volt outlet, climate control and comfortable seating in two rows. Higher-end trim levels for 2018 include a larger touchscreen display, UVO infotainment technology, smartphone integration and several other convenience features. Some of its many safety features include auto emergency braking with a low-speed front crash avoidance feature, numerous airbags, child safety features, adjustable headrests and more. 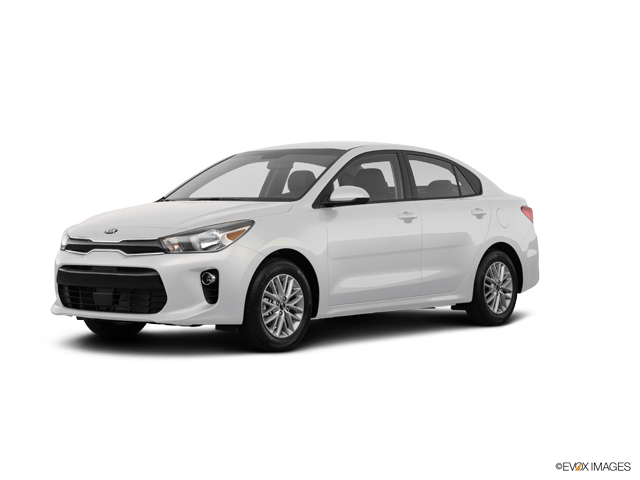 With so many thoughtful updates to the 2018 KIA Rio, this is a subcompact car that you need to check out in person. You can head to our Carriage KIA dealership today to view the differences between the sedan and hatchback versions as well as between the three available trim levels for this model year. Our sales team is ready to help you compare the options available, and we can also get you behind the wheel for a test drive. 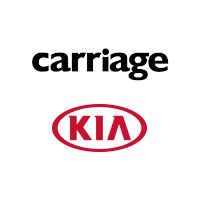 When you choose Carriage KIA of Woodstock as your preferred local auto dealer, you can always anticipate receiving friendly customer service and focused attention. Feel confident that our team is focused on helping you pick out the ideal KIA that suits all of our transportation needs. If you are ready to admire the updates that have been made to the 2018 KIA Rio, head to our dealership today at your convenience. You may also contact us ahead of time to make an appointment with a member of our sales team.